Learn how to colour hair with Aveda's Colour Director Bruno Elorrioroz. Watch his online hairdressing video tutorials on MHD. Aveda’s Artistic Director and educator in London, Paris-born Bruno has spent 30 years in hairdressing, starting with L’Oreal and Carita, before working as a session colourist. He moved to London to join Aveda and spent years working closely with Antoinette Beenders representing the company at shows and presentations around the world and contributing to Aveda’s many collections. He spends much of his time on the set of editorial shoots for many magazines and bringing his colour vision to haircuts from some of the greatest editorial and session stylists. 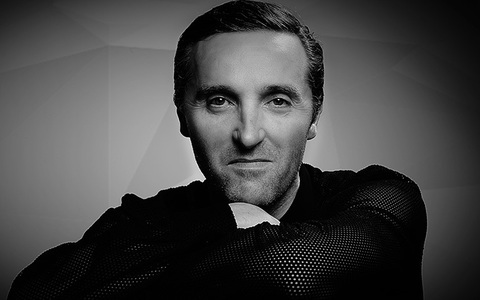 Bruno continues to teach at the Aveda Institute and likes to spend time on the salon floor, staying ahead of trends and maintaining his understanding of the challenges faced by colourists in the commercial environment. Bruno Elorrioroz’s colouring tutorial starts with a process to unify the model’s overall previously bleached hair. Bruno Elorrioroz’s colouring tutorial is a variation of the popular ombre technique using a soft blend of colours.